On 2 July 1942 the Parliament of the Slovak Republic instituted Slovenska akademia vied a umeni [Slovak Academy of Sciences and Arts], which developed into a representative and, concomitantly, working institution fostering scientific scholarly research. 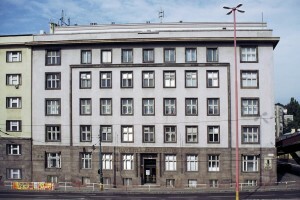 During the post-World War II period the SAVU was transformed into Slovenska akademia vied [Slovak Academy of Sciences (hereinafter the Academy or the SAS as an abbreviation)]. Nowadays, the Slovak Academy of Sciences successfully presents itself nationally and worldwide through the results in basic and applied research. It consists of 69 organisations, of which 48 are budgetary and 21 are subsidised. The Academy publishes 57 scientific and professional journals and 8 yearbooks. There are 51 scientific and scholarly associations, societies and unions affiliated with the SAS, which operate in accordance with the Law on Civic Associations. The Assembly, the Scientific Council, and the Presidium are the Academy’s self-governing bodies.